Our video team at the soundlab have made a new video with some fantastic Puppets. In this episode our puppets Ms L and Furry Fuse are trying to find the next big thing in music. The The Puppets take a long at some live performances and the media interviewed Craig about his musical aspirations, his training and his songs at the sound lab. Watch out for future shows from our Fantastic presenters. Some more of the talented musicians. The New Velodrome opens its doors. 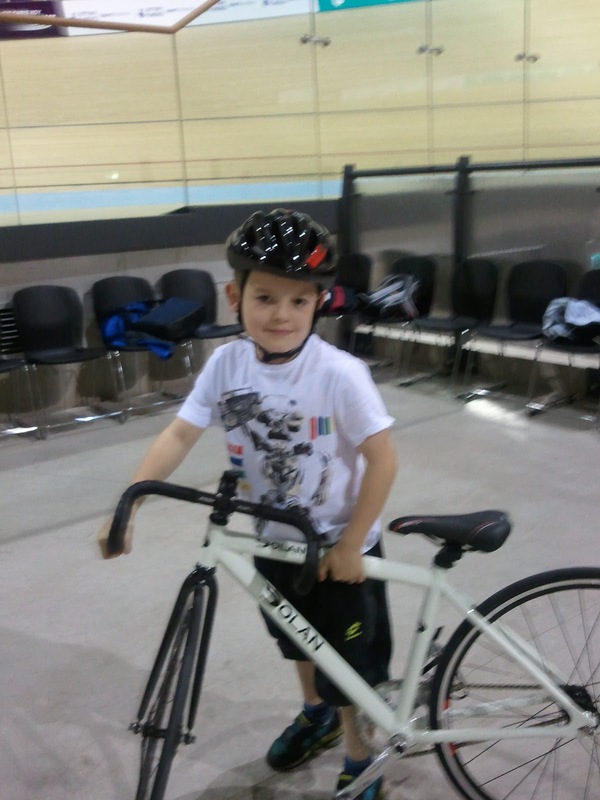 Following our community visit to the Velodrome young Darren Murray age 9 could not wait to get on his bike at the Velodrome!! 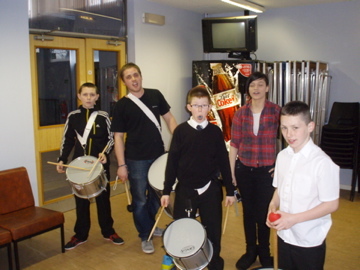 The Soundlab has run various music workshops with young people in Tollcross. This includes drumming, guitar and piano workshops to name a few. 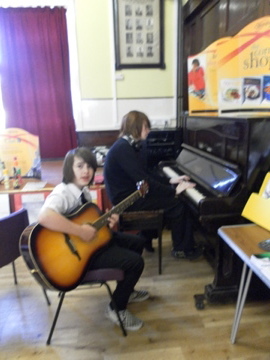 Some of the young people have performed in venues around Glasgow. A day with the Soundlab crew at the ymca loads of good drumming ,spinning and film making.This week the music workshop got together with the media workshop to explore ways of working together. The Sound Lab Media workshops in Tollcross. Mandy and her two children have been learning about film making skills in Tollcross,Glasgow and this is the first film they have made together. In this fist video the team ask Pauline McCulley a little bit about the Sound Labs history. It was wonderful to see Mandy interviewing, her daughter Saskia filming and her young son recording the sound. An inter generational group working together.